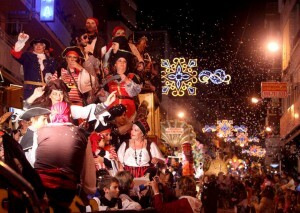 Celebrations of the coming of the Virgin in Elche. Religious activities, events and activities. In honour of the coming of the Virgin is celebrated every year from 26 to 30 December, during which various events and celebrations are held. Offering flowers: on Thursday December 27, at the end of the Holy Mass in the Basilica of Santa Maria in memory of the deceased Ilicitanos Absent, the offering of flowers takes place in the chapel of the Virgin. Representation of the discovery of the Ark of the Virgin: on Friday December 28, at 7 am, on the beach of Santa Pola Tamarit representation of finding the Ark of the Virgin. 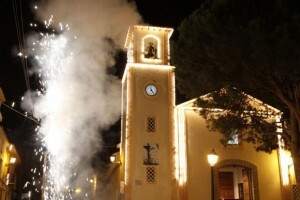 The festivities of Benidorm render honour to the Virgin of Suffrage and St. James the Apostle, both patrons of the resort. They are the most important celebrations in the city and take place from the second Saturday in November until the following Wednesday. The festival, which lasts for five intense days, ends with a spectacular firework display. During those days the streets of Benidorm are groomed with bouquets and floral walls true. There are all kinds of events and aimed at all ages, from live music on every corner, evening concerts in the Auditorium Park L ‘Aïguera , fishing tournaments, cultural events, theatre and outdoor performances, workshops and parties for the little ones, to parades and processions. The staging of the Finding of the Virgin of Suffrage: takes place on Saturday from 17 hours in the Playa de Poniente. This event commemorates the arrival of the image of the Virgin to the municipality and gives meaning to the major festivals. Wood carving will covered by a blue mantle with gold accents and is accompanied from the beach to the square opposite the church of San Jaime. Are the major festivals in honour of the Most Holy, Christ the Good Success and are held from 7 to 10 November. 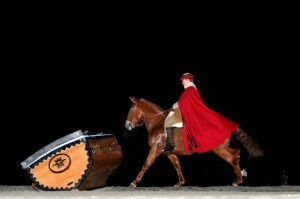 This is a very important celebration in the province of Alicante. 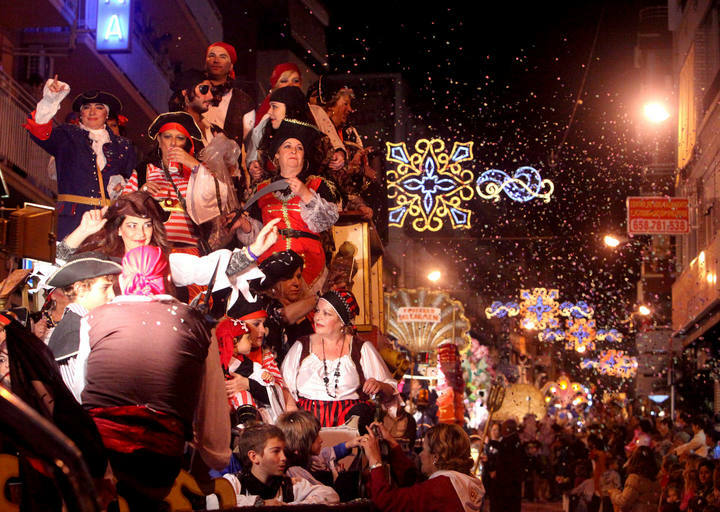 In addition to religious services, there is also a large leisure an d fun festive program with remarkable activities such as the great parade Humour, correfocs, mascletás and firework displays. Parade Humour: multicolour great ride that floods the streets of the town. Tends to start in the House of Culture. Floral Offering Day and Correfocs: Floral Offering to the Holy Christ of the Good Success has output the Cultural arrival to the Church of San José.